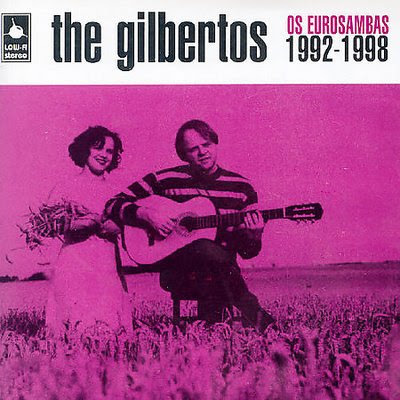 The gilbertos Os Eurosambas has been a long-time favourite of mine and I managed to give it a plug over at the Man recordings blog, Man recorder, even though it doesn't technically fit into their musical world. You can find some info, uploaded tracks and a link for the whole album there, it's well worth your time. Talking of Minas Gerais, Renata Ursaia made this delightful video of the children hanging out on our carnival holiday - lovely! 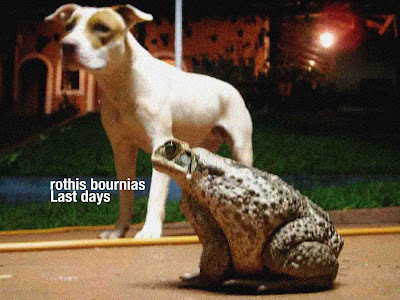 Imagine, if you will, a Greek farmer living in the mountains of Minas Gerais, Brazil, no internet connection, connected to the nearest road by a 7 kilometre dirt track and who has to get up at the crack of dawn to tend his animals, this is Rothis Bournias, not your average ambient house producer. But don't let these outdated definitions put you off, Rothis adds something new to the genre and his idyllic farming lifestyle shines through in these tracks where you will find chattering, engaging drum patterns, candescent textures combined with winsome and memorable melodies. Download, sit back, drink your tea or whatever it is you do to relax... and enjoy.